Nga mihi nui te whanau o Craighead. Teacher-Only Day Tomorrow, Friday 12 April—This Friday, Craighead has the pleasure of hosting the first ever Kahui Ako Teacher-Only Day. We are expecting up to 350 teaching personnel from around the region, ranging from Early Childhood educators to teachers from the five local secondary schools. All participants are part of the Combined North and South Timaru Kahui Ako (Community of Learning) which is focused on Wellbeing, Priority Learners and Transitions through the school years. Beginning at 9am with the theme “Taking a Strengths-based approach to Wellbeing”, we are fortunate to have Dr Lucy Hone and Dr Denise Quinlan from the New Zealand Institute of Wellbeing and Resilience to facilitate the day. Farewell to HOD Art, Ms Glenys Parry—Ms Parry has been teaching at Craighead for the last 25 years. She has had an outstanding career as a teacher of Art, with her ability to inspire and support the pursuit of personal excellence in her students. Ms Parry studied Art at the University of Canterbury, majoring in her passion, Sculpture—she moved to Auckland upon graduating. It was while working for the Auckland City Art Gallery Outreach programme that she had her first experience of teaching. This prompted her to train as a Secondary Teacher in Christchurch in 1980, specialising in Art and Outdoor Education. 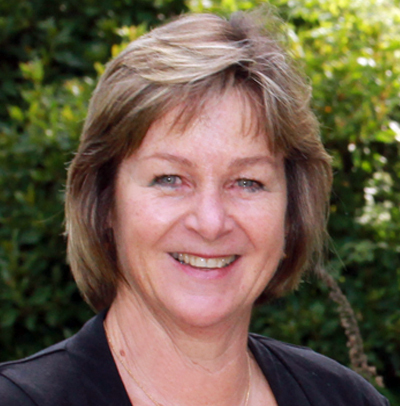 Ms Parry took up her first teaching position at Burnside High School, then the largest Secondary School in New Zealand. After 10 years, she was enticed down to Craighead, where she has remained ever since. During her time at Craighead, Ms Parry has worked as an NZQA Marker and Check Marker in Sculpture. Her students have topped the country in Sculpture twice, achieved numerous Scholarships in Photography, Painting and Sculpture and their work has often been used as exemplars for NZQA—a remarkable achievement. Craighead Art work has been included in the Top Art tour of the country many times. Last year, Ms Parry received a National Excellence in Teaching Award, in recognition of her teaching excellence. We are very fortunate to have had the benefit of her expertise, and good company, for so long. We wish her good health and happiness, and along with her artist husband, Michael Armstrong, a productive retirement. Staffing update for Term Two—As already mentioned, Ms Parry retires at the end of this term and the role of HOD Visual Arts will be taken up by Mrs Gala Kirke. With the timing of this departure, Ms Kay Strathern is required to teach out her notice at Morrinsville College, and will then begin her teaching position at Craighead after Queen’s Birthday weekend. Mr and Mrs Tim and Margaret Foley will share the relieving duties in the interim, overseen by Mrs Kirke. There will be some timetable changes to cope with the change in Art personnel, but we feel very lucky to have sourced a very competent and experienced Art teacher to join this Department. Ms Celia Liu has recovered from her illness and will be ready to begin as HOD Music at of the beginning of Term Two. We wish her well with the move to Timaru, and look forward to working with her. Mrs Miller will continue taking the Orchestra and Choir, and Ms Hall will continue to take the Chorale, assisted by Mrs Julie McLean. We are very grateful to those staff who have enabled the Music Department to continue with ‘business as usual’. Ms Kim Fairbrother also finishes at the end of this term, to await the addition to her family. We wish Ms Fairbrother and her husband all the best over the next few weeks. Mrs Claire Spiers, an experienced PE and Health teacher, will take Ms Fairbrother’s classes for Terms Two and Three.